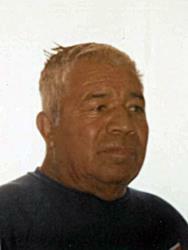 Jose Jesus Carranza, 89, entered eternal rest Saturday, November 17, 2018 in La Posada Assisted Living Facility in Las Cruces. Mr. Carranza was born March 3, 1929 to Luis and Florentina Carranza in León, Mexico, where he still has many nieces and nephews surviving him. Jesus retired from the Department of Transportation after 25 years of service. At his request, inurnment will take place in the Garden of Memories in Hatch, NM at a later date. Millions years ago God has help his people and never abandoned them. This story explains it all, "he found him in a wilderness land and in an empty, howling desert. He protectively encircled him, took care of him, and safeguarded him as the pupil of his eye."